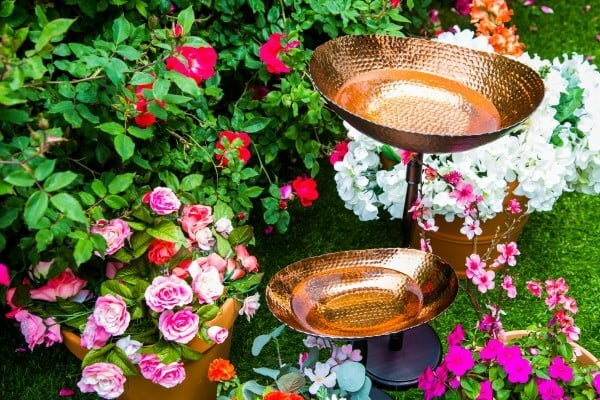 Welcome your feathered friends to your garden with a unique DIY bird bath. Here are 25 easy ideas with tutorials to choose from. A beautiful birdbath makes a lovely water feature in your garden too. So there’s all the more reason to create it. You can be very creative about it too, and use lots of different recycled materials. It’s all about your imagination. And did we mention you’re saving a lot of money this way as well? 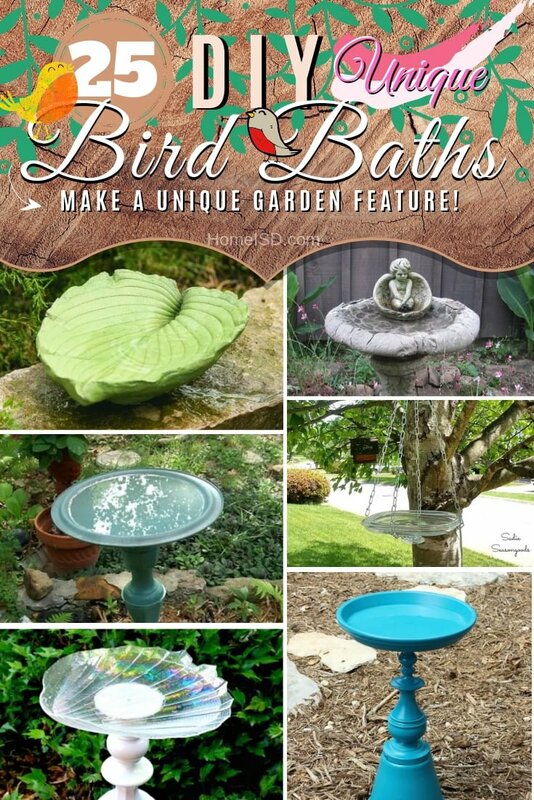 Check out these great project ideas for your very own unique DIY bird bath! 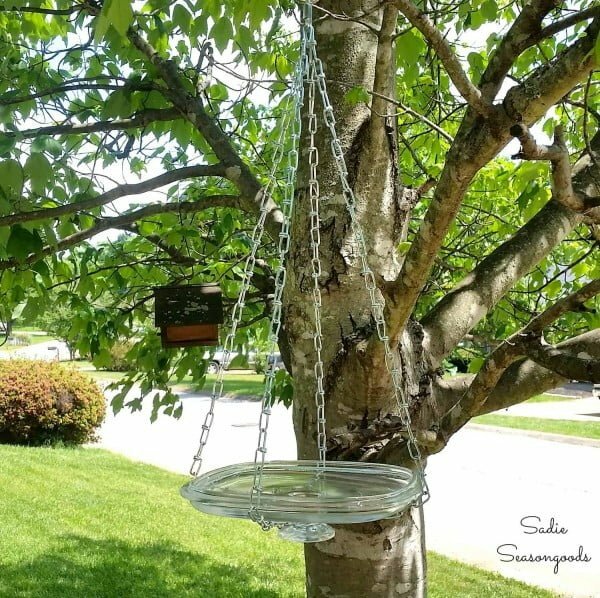 A glass casserole dish lid from the thrift store is the perfect piece to repurpose and upcycle into a bird bath or waterer from which they can drink. Read the tutorial to get the complete guidance and instructions. What an excellent DIY bird bath as a variation of instructions from Lowe’s. Check out the link to get the entire guide. 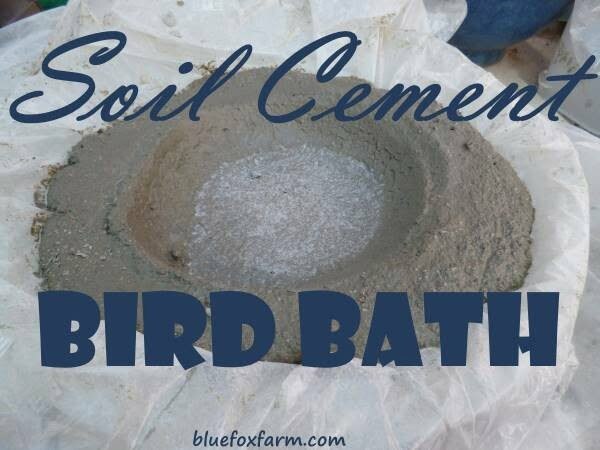 This DIY leaf bird bath project will create a one-of-kind watering place for the birds in your backyard, and working with cement is easier than you think. Read the link to learn how to do it. 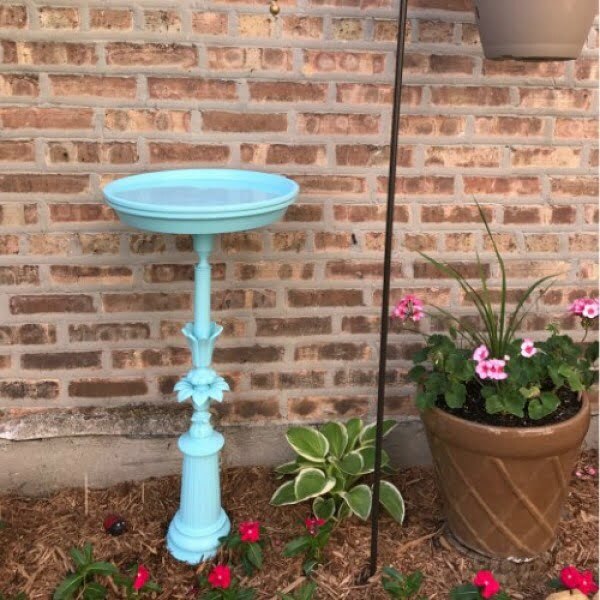 How to make an easy DIY birdbath using recycled items readily available at thrift stores. Use an extra large candlestick and a pot lid. Follow the article to see the full details. 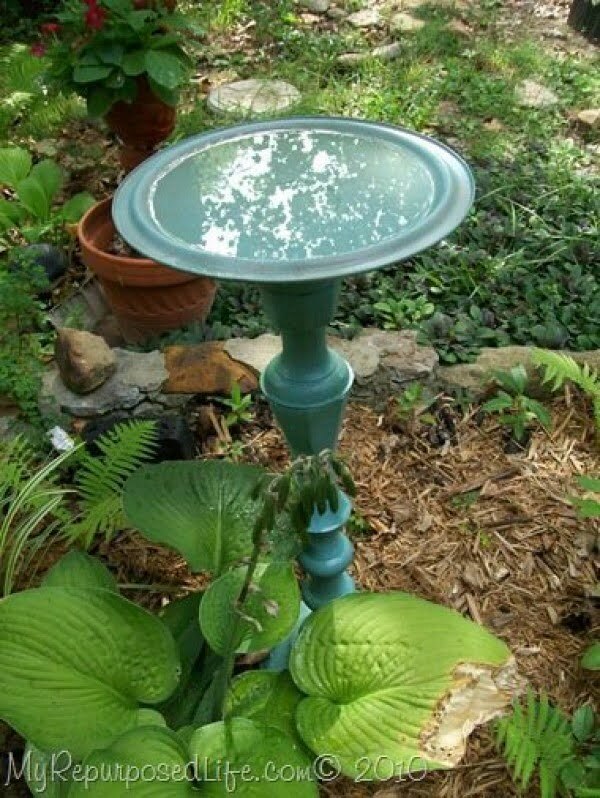 Make your birdbath from a lamp and terra cotta pot as a simple project. Read this website to get the complete plans and instructions. Bird baths can be expensive to purchase. 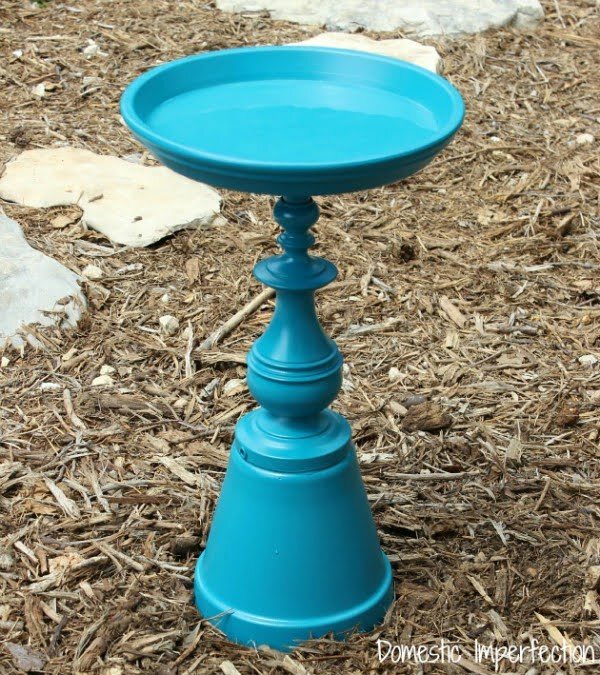 Lauren of Mom Home Guide shows you how to make your DIY bird bath from a simple (and inexpensive) garden pot and saucer. If you have a lamp that you don’t use anymore reuse the bottom half for the post. Then, glue a beautiful glass dish on it so birds can cool off and relax. 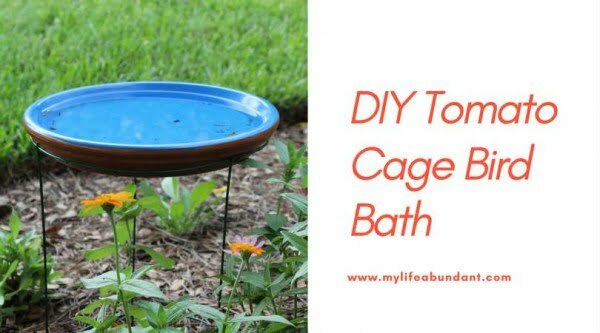 Any bird will love this DIY bird bath! 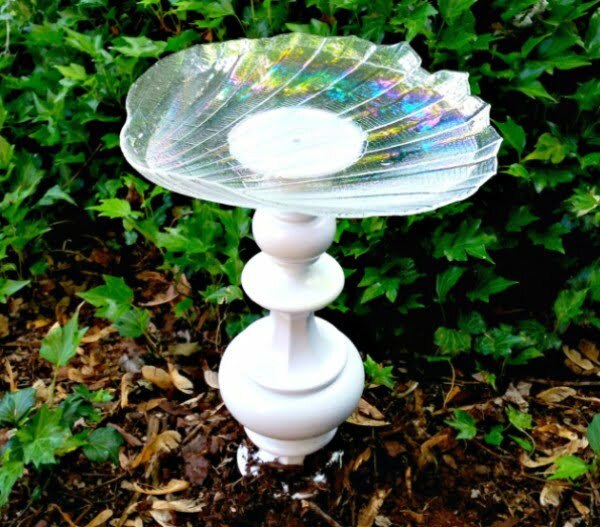 Looking for a straightforward way to make a bird bath? 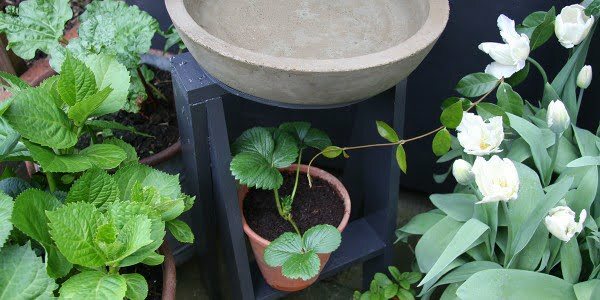 All you need is a few garden items and this DIY project done in minutes. See this website for the complete plans and instructions. 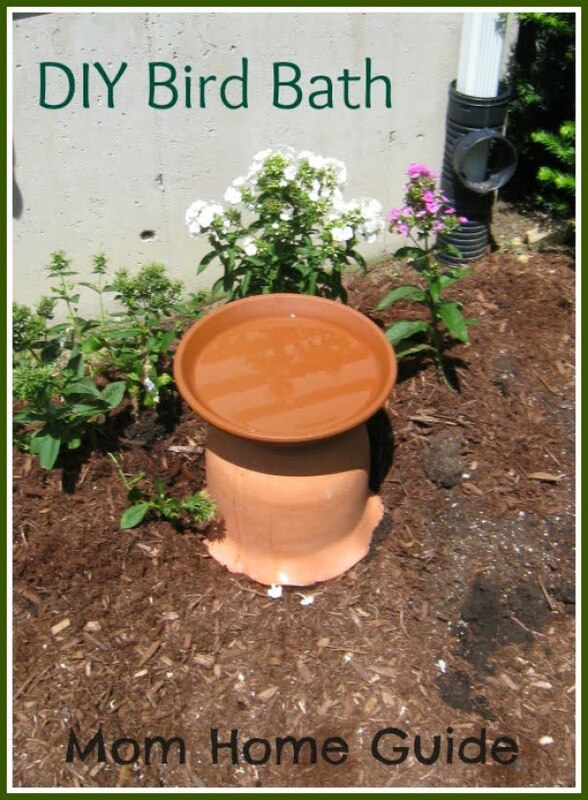 Create a two-tier birdbath for $20 with non-toxic pet safe aquarium sealant. Beautiful, safe and budget-friendly. Check out the tutorial to find out how to do it. 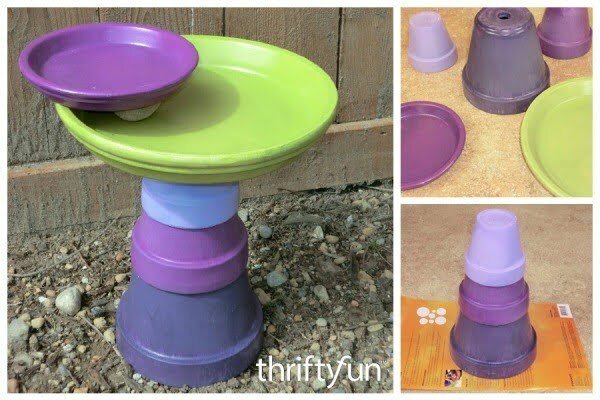 How to make a birdbath by stacking plastic flower pots with the base! Ideas for flower pots to spruce up your garden and yard. Follow this website to find out how to do it. 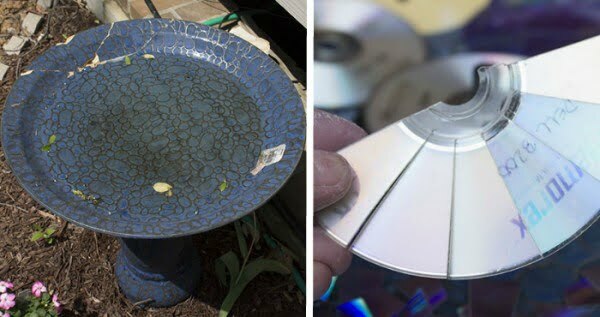 What a fantastic DIY bird bath with old CD shard mosaic. Follow this website to get the entire details. Ken Wingard is showing you how to celebrate nature with this DIY. 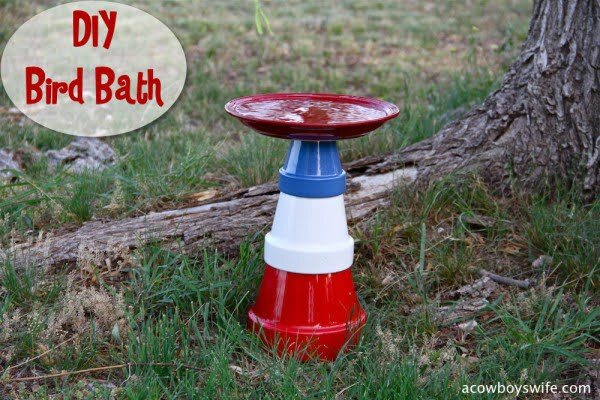 This is an awesome DIY bird bath as a budget project idea. Follow the tutorial to see the entire guidance. 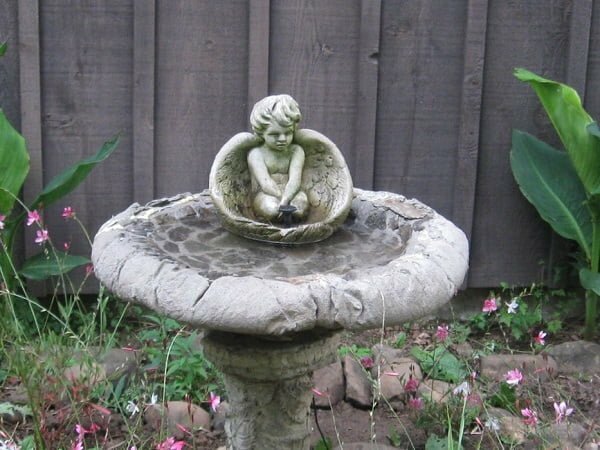 This lovely birdbath fountain makes a great water feature in your garden. It’s easy to make, too. Just follow these straightforward instructions. Mark LaFerney repurposes an old lamp to create a beautiful destination for his feathered friends. Read this website to get the complete plans. Although not quite Hypertufa, this Soil Cement Bird Bath has very similar techniques. Build this DIY garden craft the easy way. Follow the tutorial to get the full plans and instructions. 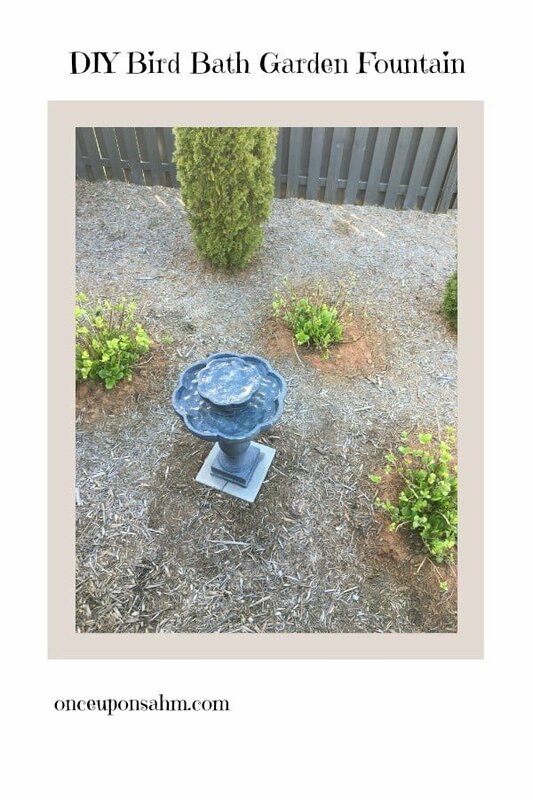 Check out this easy DIY Bird Bath Garden Fountain including cleaning and installing steps. Read the article to get the complete details and instructions. 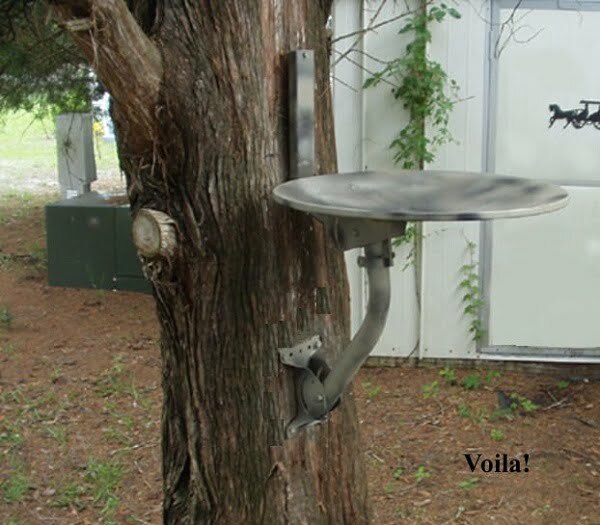 This is a terrific bird bath and stool made the easy way. Check out this website to find out how it’s done. 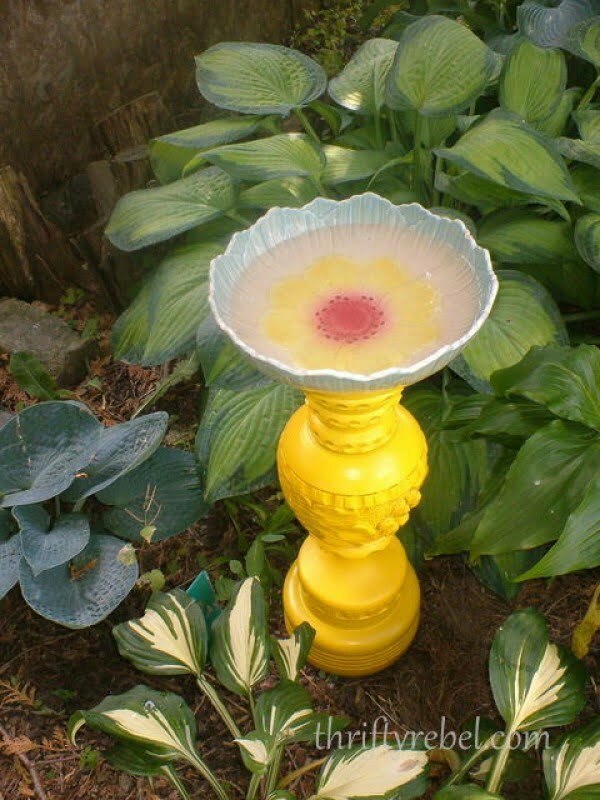 Make a birdbath out of a wooden vase and a pretty bowl. Check out this website to see the complete details. 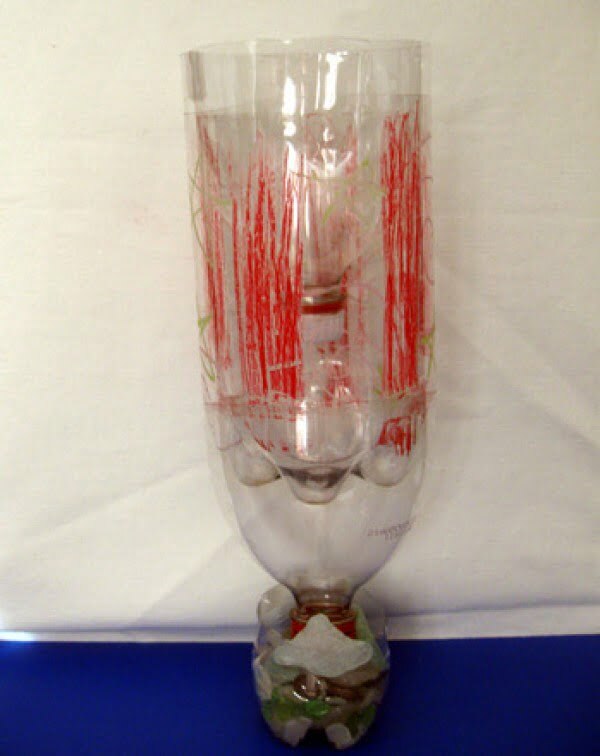 Looking for something to do with all those plastic 2-liter bottles that seem to accumulate endlessly? 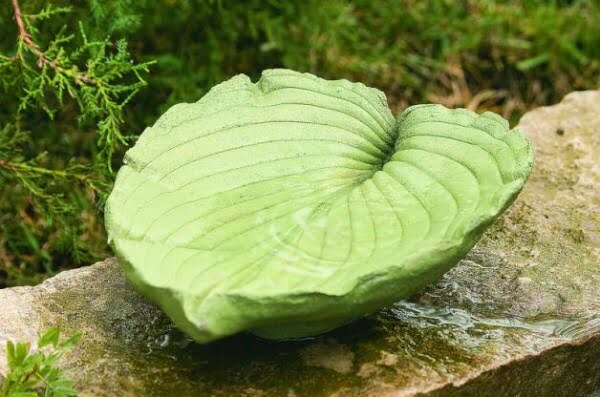 Turn them into a unique mini birdbath. Check out the tutorial to get the entire guidance. 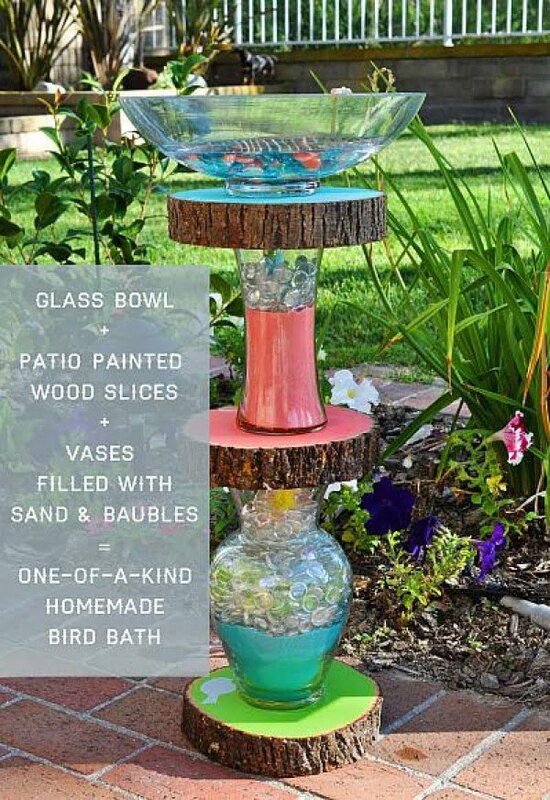 This is a terrific birdbath made from wood slices, glass bowls, and vases on a budget. Read the tutorial for the full details. Birdbath fixtures are quite pricey. And most of them are rather ugly. Make your unique design by painting clay pots. Follow the tutorial to find out how to do it. 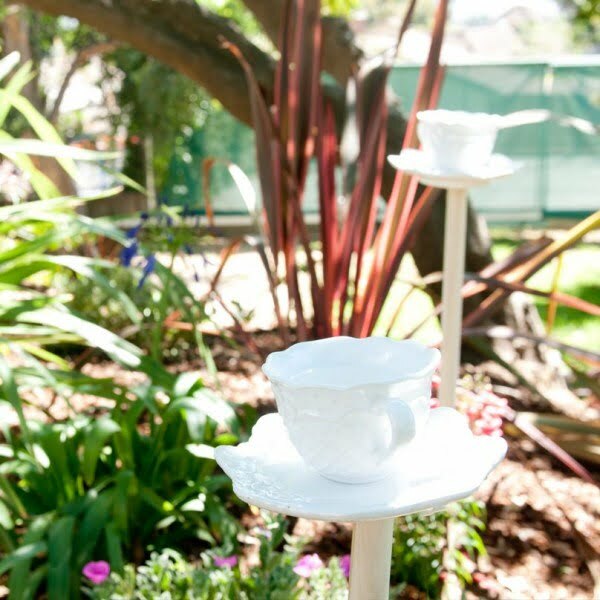 This quick and easy DIY project will create a Teacup Birdbath that all the local birdies will love to enjoy. Follow the article to find out how to do it. And old satellite dish already has the perfect shape for a bird bath. So all you have to do to use it as one is to fixate it to a tree for a unique feature in your garden. Check out these instructions.